Is my property suitable for a Backyard Subdivision? …and if so, what can I build? Each dwelling must have vehicle access. Councils across Melbourne insist that vehicles from rear units exit in a forward direction. This often means that area must be set aside for car turning circles when presenting a backyard subdivision proposal at council. Depending on the zoning which applies to your land, and any additional requirements of local council, the “open space” area for your proposed backyard townhouse or villa will vary. For lots zoned “Residential 1” in Victoria for instance, most councils are looking for a minimum of 40 square meters of Secluded Private Open Space (SPOS). Numerous councils will also ask that this Secluded Private Open Space area has a minimum dimension of 5.0 meters. 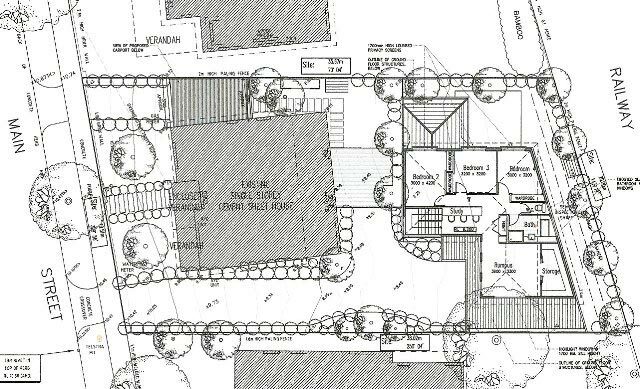 For example: a courtyard at the side or rear of a proposed dwelling, measuring 8.0m meters by 5.0 meters, would have an area of 40.0 square meters. This would reflect a Secluded Private Open Space which is both functional, and likely to obtain planning approval at council. Generally, for backyard developments, the size of the house itself is determined by the space left over after sufficient private open space, car-parking/driveways/turning bays have been allocated. It’s a good exercise to start sketching some layouts for your backyard townhouse or villa, with the above in mind. If you are seeking some preliminary advice on your proposed layout for a backyard subdivision, then take advantage of Design Subdivide & Build free initial consultation. Design Subdivide & Build is happy to offer obligation free advice on how to maximise the likelihood of obtaining a town planning permit for your project. Alternatively, choose from over 50 Design Subdivide & Build house floorplans. Our Townhouse, Duplex and Villa floorplans are compact, but extremely functional. Most importantly, they have been created specifically for use on subdivided, suburban blocks. 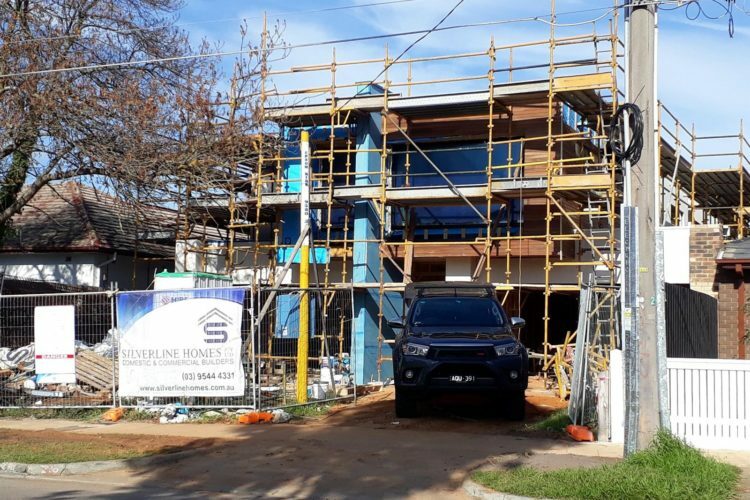 Over the years, DSB has successfully designed and help develop many villas (single storey units) and townhouses (double storey units) in backyards across Melbourne. In terms of return on investment, backyard subdivision can be a great way to go, because you end up with two houses but have only had to pay for the construction of one! For a client with a property in Chelsea (a bayside suburb of Melbourne), we were able to design two new units in the backyard behind the existing dwelling. This project yielded a massive return on investment, and the client has since since completed four more townhouse subdivision projects with DSB. In the past, DSB designers have created excellent two bedroom units as small as 15 squares, a three bedroom as small as 17 squares. Four bedroom units tend to be 20 squares plus. If the land area in the backyard is sloping, then generally a bit more space is required than shown in the estimates above. Many DSB backyard townhouses across Melbourne have had 4 bedrooms, and also a second living zone upstairs. The key to maximum rooms and dwelling function is a specialist designer. Obviously, the trick is to be super efficient with the space. This often means that certain spaces may serve more than one function. We must also keep limit the exterior size of the dwelling so as to comply with building setback requirements. A backyard subdivision townhouse opposite Monash University in Clayton (southeastern suburb of Melbourne) which DSB designed actually had 7 bedrooms! (and 7 ensuite bathrooms).This townhouse was purpose designed for student accommodation and now yields extraordinarily high rent every year for our client. The backyard in this case was approximately 400 sqm. These services must not (if at all possible) cross over into the other lot, otherwise a new easement may have to be created. A common scenario is for services to run underneath a driveway. When designing a unit for a backyard, consideration must be given to the overshadowing the new building will produce on the neighbouring property. Overlooking scenarios often mean that screens or frosted glass must be used for upper floor windows of a backyard townhouse. The new dwellings 1st floor visual bulk is something that councils are always keen to minimise. This can be aided by trying to locate one bedroom downstairs, and incorporating articulation into the design. There is a fine balance between creating articulation in the building, and keeping construction costs low. This is learn over time by a specialist designer, such as those here at DSB. DSB conduct site visits to backyards all across Melbourne on a weekly basis. The prospect of a great new home and a great profit / equity gain is a good motivator to see what is possible! For more information on backyard subdivision, or to find out if your backyard is capable of accommodating a villa or townhouse, please contact us.